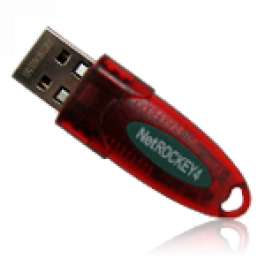 ROCKEY4ND dongle is advanced software protection system that attaches to the USB port of a computer. It is in fact a powerful miniature computer, with a CPU, memory and specialized firmware that allows for robust interaction with the application. Although the software may be duplicated, but it will only run when ROCHEY4ND dongle is attached. 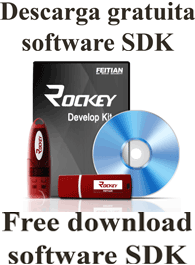 The application will interact with ROCKEY4ND at start-up and during runtime. No Dongle means No license to execute the software. - 2 levels-4 groups (basic password & advanced password) password management mechanism, i.e. developer password andend-user password. - 1,000 bytes user spaceProvide 64 module control units. - Hardware implemented random number generator. - Standard USB 1.1 device, support USB2.0 interface. - Provide multiple software programming interfaces: ASM, ASP/PHP, Delphi, PowerBuilder, Python, Fortran, Java, RealBasic, Oracle, SQL2000, FoxPro, VB, VBA, VC, C# and VB.NET etc. - Support multiple operating systems: Windows 2000/XP(32bits & 64bits)/2003 (32bits & 64bits)/Vista (32bits & 64bits), WinCE (x86), Linux and Mac OS etc.